In her 50-minute presentation, Naseem will talk about the creative process (getting from barely an idea to a finished book), read her books, explore the importance of humour and feelings, and show kids how to write their own jokes. Kids will leave laughing! This program can be adjusted according to the age group of the audience. Younger children will participate in interactive activities while older students will be able to explore humour in greater depth. In this 60-minute presentation, Naseem will show aspiring picture book writers what it takes to get published. She will discuss the steps you need to take before you submit your manuscript, what editors are looking for and what to expect from the publishing process. The audience will leave with the tools they need to try to get published. Each presentation ends with a Q&A. Naseem Hrab is a writer, funny (enough) person and maker of ice cream. She is the author of the funny (enough) picture books Ira Crumb Makes a Pretty Good Friend and Ira Crumb Feels the Feelings, illustrated by Josh Holinaty (Owlkids). She is also the author of the forthcoming (but not funny) picture book Weekend Dad, illustrated by Frank Viva (Groundwood). 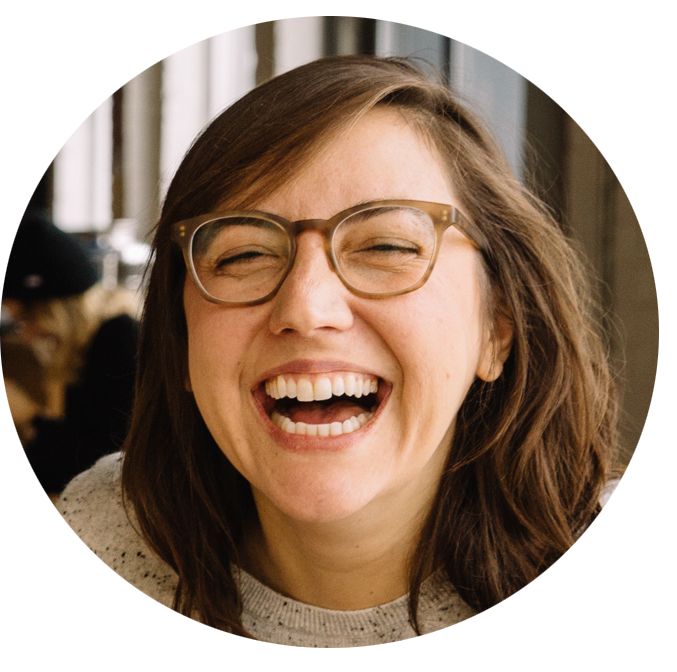 Her comedy writing for grownups has appeared in McSweeney’s Internet Tendency, The Rumpus and The Globe and Mail. Naseem has extensive experience presenting and performing for children and adults. She loves to make people laugh! Naseem has performed readings and workshops for children at schools, Word on the Street Toronto, Telling Tales Festival and WaBASH Festival. Sometimes, she likes to get on stage and tell true stories to adults at events including the Toronto Storytelling Festival and True Stories Told Live. She performs improv comedy and has studied at the Second City and Bad Dog Theatre in Toronto. When she’s not writing and performing, Naseem works in children’s publishing. She previously worked as the librarian at the Canadian Children’s Book Centre and currently works as the Associate Publisher, Creative at Kids Can Press. Naseem lives in Toronto with her pet fish, Ian. “Naseem is fun, funny and full of energy. She connected with the students on any number of levels: through her stories and pictures about her life as a writer, and how she became one; through her explanation of her writing process, and how she works with her illustrator; not least, through her reading of her books! In our case, she not only read from her first book, Ira Crumb Makes a Pretty Good Friend ­ which our students already knew and loved, before she arrived ­ but she ALSO read from her second Ira Crumb book, Ira Crumb Feels the Feelings. This book, in particular, is a real find. The students loved it (more Ira Crumb fun ­ complete with a fart character!) ­ but the TEACHERS in the room, myself included, thought it was particularly brilliant. And much needed. Finally, a book that helps children recognize difficult feelings, and work through them ­ not mask them, or try to ignore them, but actually understand and work through them.